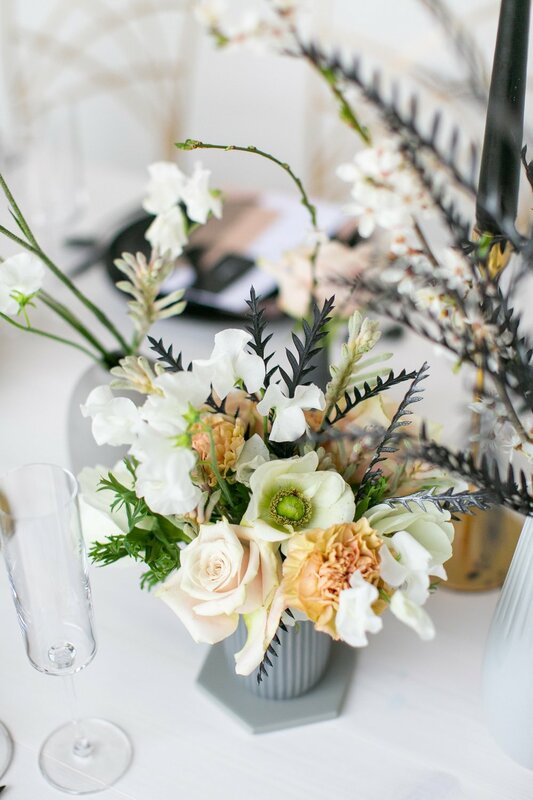 I love working with talented suppliers, especially when they are suppliers I used for my own wedding! 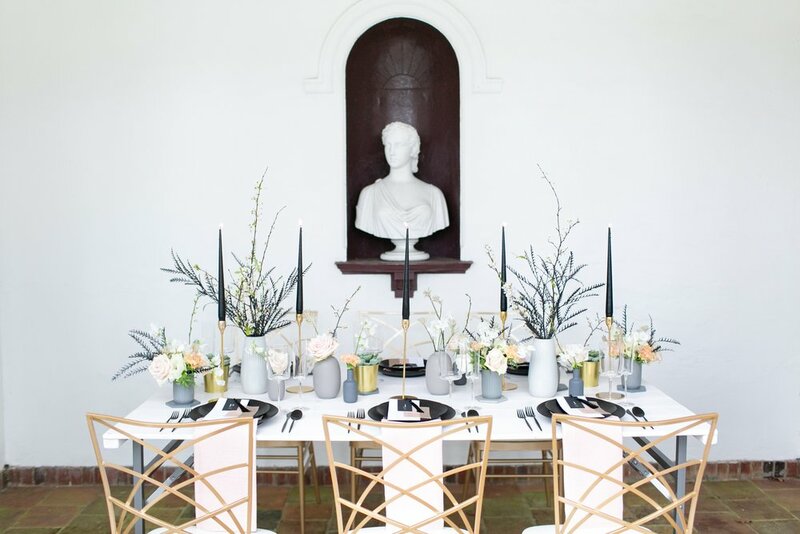 This shoot was put together by the wonderful Pete from Kalm Kitchen, using a select team to create an intimate table set up. 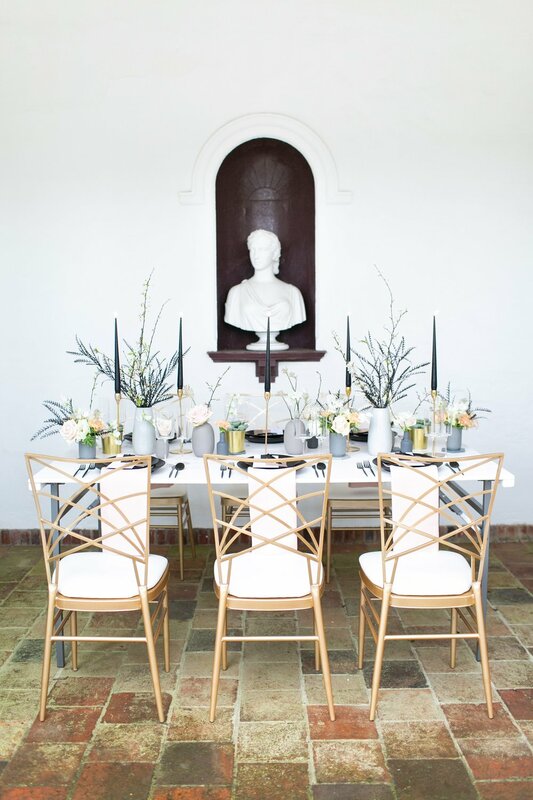 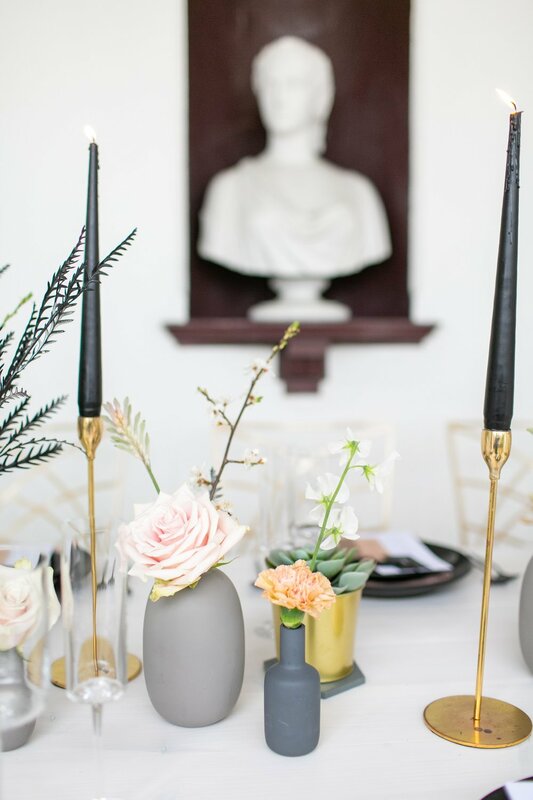 Using some soft muted tones against black and metallics, we created a bold and beautiful set up, perfect for a modern wedding or cosy dinner party table dressing. 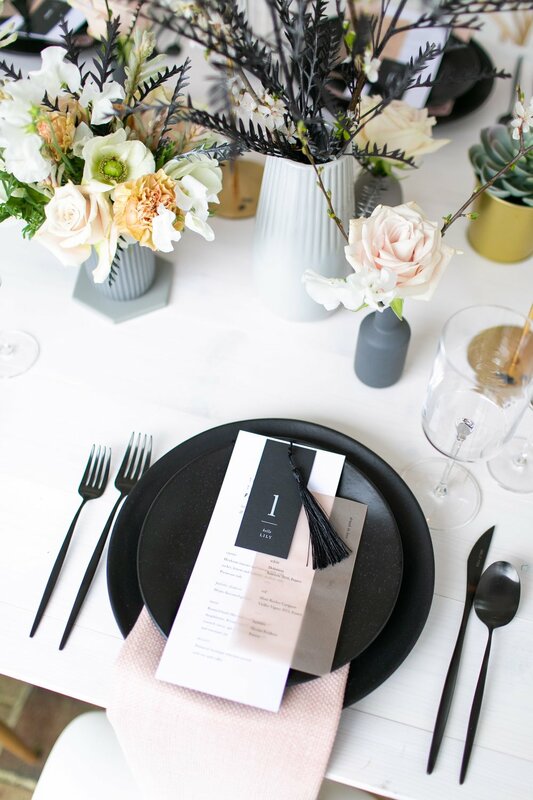 Two different menu set up’s created the look using vellum, texture shape and minimal design to create the scene. 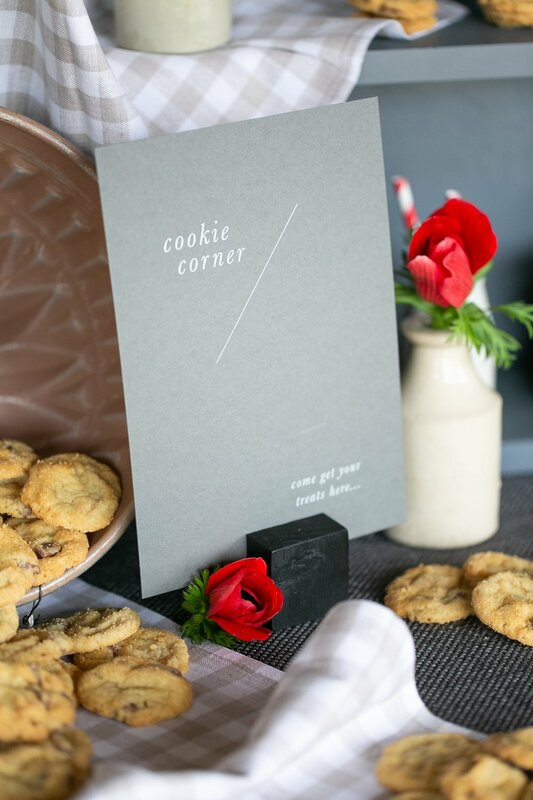 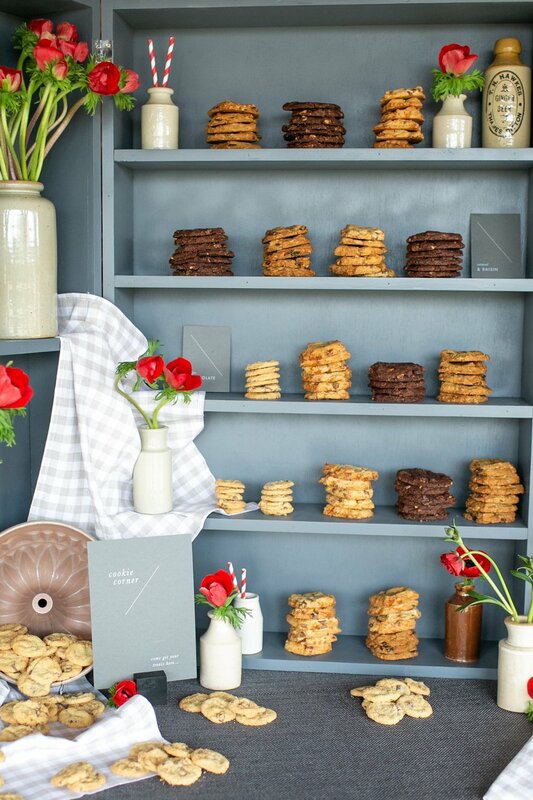 Alongside the table set up, between us we brought to life an idea Kalm Kitchen wanted to bring to life for one of their new food stations, Cookie Corner.